Chiru Is Like Lord Shiva, Chinni Krishna Is A Cheater! 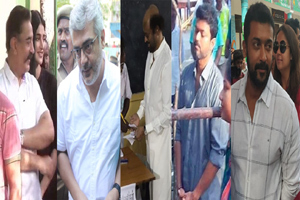 Film Personalities have been taking sides and making sensational comments ahead of the 2019 Elections. Some Celebrities haven't been hesitating to target the bigwigs in the Industry. Comments made by Writer Chinni Krishna during his recent press meet stirred a huge controversy. Chinni Krishna: 'I had offered Industry Hit Script for Chiranjeevi. Still, He didn't even invite Me for lunch. Why should I support such people. If I open my mouth, Pawan will be left with no other option but to shut his 'navarandhralu'. Don't make Me do that!'. Sharing an old video of Chinni Krishna where he showered praises on Mega Heroes for offering him work, Producer SKN shot back: 'Annam Pettina Cheyyine Narike Nammaka Drohulu Chala Mandi Untaru, Garalam Mingina Shivudu Elago Annayya Chiranjeevi Alage. Ayana Spandinchaka Povachu Kani Aa Kasi Vishwanadhude Nee Lanti Vallani Dinchuthadu Chinni Krishna Du'. At the Badrinath Event, Chinni Krishna revealed: 'When I was facing hardships living in a Rs 3,000 rented accommodation, Allu Aravind saved me by offering Rs 10 lakh to prepare a script'. 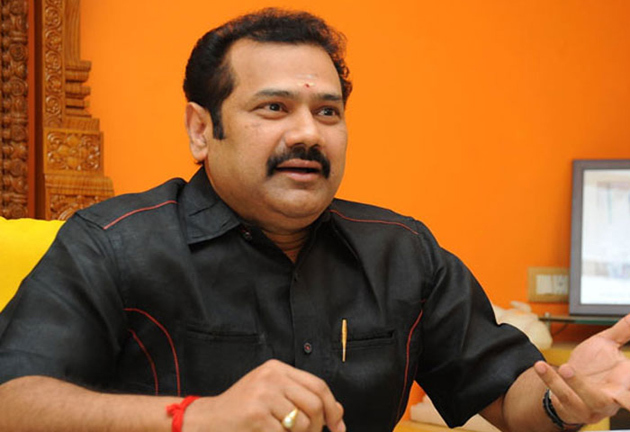 There was severe backlash on Chinni Krishna after his controversial press meet. Mega Fans trolled him sharing his old videos in which he heaped praises on Chiranjeevi.